Titanic Iceberg Ice - Get it while it's HOT! 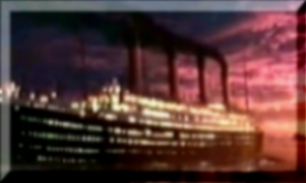 On April 14, 1912 the mighty ocean liner Titanic struck an iceberg in the North Atlantic and sank! Now you can own a piece of history! TTC The Titanic Cable T.V. Channel - All Titanic - All the Time! * Note: due to limited supply, some ice may not be authentic Titanic iceberg ice, some ice may be frozen city tap water. Visit My Home Page for More Stuff! Disclaimer : All of the pictures and music from the film 'Titanic' are the sole property of Twentieth Century Fox, Paramount Pictures and Lightstorm. The owner of this homepage is in no way affiliated with the makers of 'Titanic'. These pictures were found on random Titanic Websites as well as the official 'Titanic' Website. No intentional copyright infringement was intended. All copyrighted pictures will be removed upon the request ofthe owner(s). Any other images and material that is copyright will also be removed upon request.